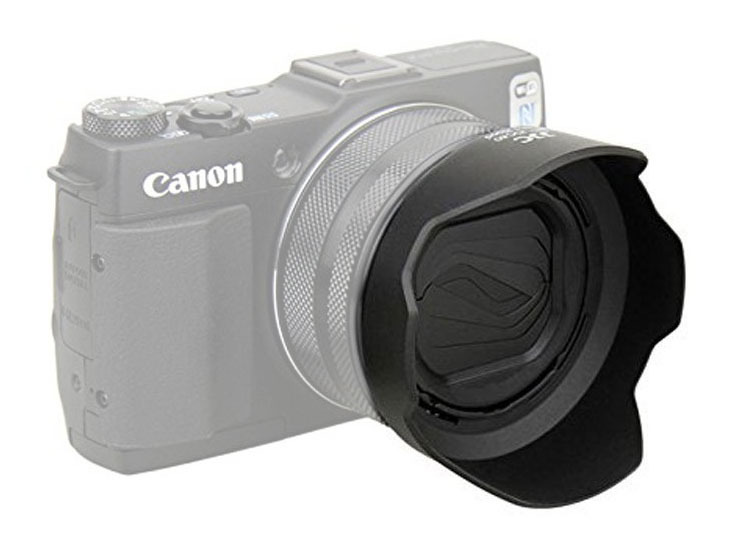 The Canon lens shade for G1X Mark II cameras is the LH-DC80. 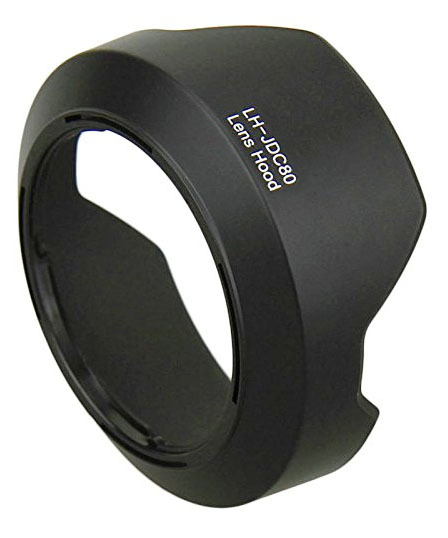 The replacement made by Mcoplus is the LH-HDC80. It is made of ABS impact resistant plastic. There are two big benefits to using a lens shade. They are image quality and lens protections. Lens shades act to block stray light from entering the lens, helping reduce lens flare and adding to image quality. They are especially valuable when the sun is in front of you and the sun rays strike the front of the lens. They also make it a little less likely that you'll accidentally scratch or smudge the lens. With the hood attached your G1x Mark II's lens is not as exposed. Lens shades can (to at least some degree) help against accidental damage from impact. This can be a camera saver. It happened to me. I carelessly failed to lock a DSLR securely to the tripod while shooting an indoor event and had a camera crash to the floor.. The lens shade cracked and was ruined, but it likely absorbed much of the energy from the impact and saved the lens from any damage. That's not the primary reason for using a lens shade, but it is a nice side benefit that can save the day for you if you are lucky. 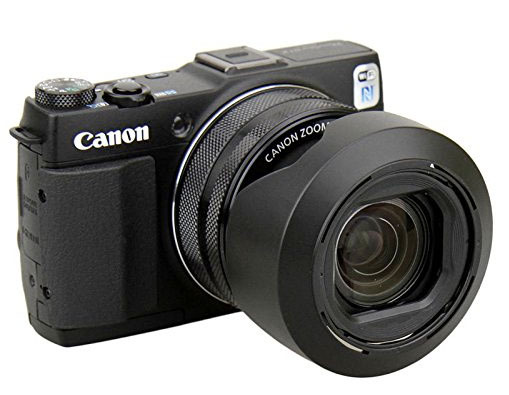 The lens shade of G1X mark II cameras is just one of the many Canon powershot g1x Mark ii accessories that have become available since the release of this camera. The LH-HDC-80 is reversible for easy storage. You won't have to buy an extra large camera bag to stow your camera with the lens hood attached in its reverse position. 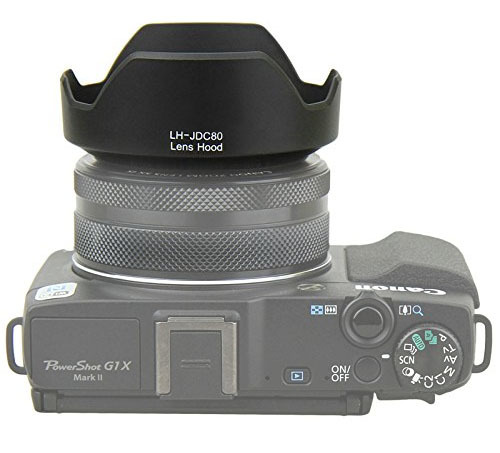 I am not a big fan of the "petal" shaped lens hoods like this one, but I realize it's the best way to get maximum lens light protection for the full range of zoom. 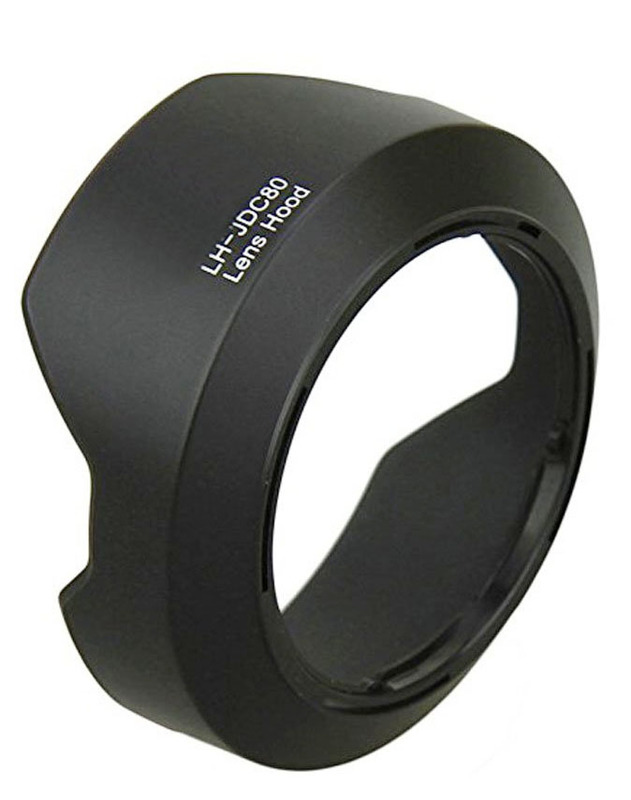 There are several different companies that make the replacement lens shade for the G1X Mark II. Although this is a specialty item, all of the major online camera retailers will carry this accessory. I buy most of my accessories on Amazon, but have used Adorama or BHPhotoVideo for camera gear that is too specialized for Amazon to carry. You've invested a good amount of money in your G1X Mark II and it makes sense to protect and get the most out of your camera with the right camera accessories. Have a blast! Do you have an opinion on this? Leave me a comment in the box below. 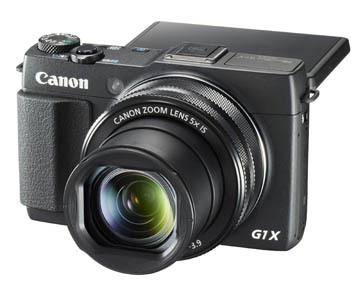 Photo of The Canon Powershot G1X Mark II Camera with LCD Screen Rotated.